Craig A. Wolson is an experienced attorney specializing in structured finance and securitizations, including CDOs (cash, synthetic and hybrid), CLOs, CBOs, asset-backed securities, and asset-backed commercial paper; asset-based lending; secured loans; derivatives (including interest rate swaps, currency swaps, commodity swaps, and credit default swaps); project finance; leveraged leases; mergers and acquisitions; joint ventures; and corporate. Mr. Wolson provides expert witness testimony and reports; consultant to litigators for trials and arbitrations. Review pleadings and other court documents; review and explanation of underlying documents. Have affiliations with several investment banking firms and investment advisors that provide valuation services, in particular for ABS, MBS and other securitization securities and credit default swaps (CDS), interest rate swaps and other derivatives, both currently and on an historical basis. 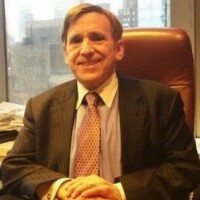 Have acted as expert witness and/or consultant in numerous cases involving collateralized debt obligations (CDOs), mortgage-backed securities (MBS) and other types of securities, and credit default swaps (CDS), interest rate swaps and currency swaps, including acting on behalf of plaintiff hedge fund in two cases brought against two major commercial/investment banks in federal court, acting on behalf of two major pension funds in case brought against major bank in federal court, acting on behalf of major investment bank defendant in arbitration brought by another major investment bank, and acting on behalf of plaintiffs in class action brought in federal court against two major investment banks. Has acted as expert witness and/or consultant in numerous cases involving collateralized debt obligations (CDOs), mortgage-backed securities (MBS) and other types of securities, and credit default swaps (CDS), interest rate swaps and currency swaps. This has included acting on behalf of plaintiff hedge fund in two cases brought against two major commercial/investment banks in federal court, acting on behalf of two major pension funds in case brought against major bank in federal court, acting on behalf of major investment bank defendants in arbitration brought by another major investment bank, and acting on behalf of plaintiffs in class action brought in federal court against two major investment banks. Currently acting as a consultant in a case involving MBS, CDOs, and CDS in which over $400 billion is being sought. Other affiliations: Duane Morris LLP, New York, NY, Partner, 2003-2006; Schulte Roth & Zabel LLP, New York, NY, Special Counsel, 2001-2003; Mayer, Brown & Platt, New York, NY, Counsel, 1999-2001; Brown & Wood LLP, New York, NY, Counsel, 1997-1998; Williams & Harris LLP, New York, NY, Partner,1995-1997; Chemical Bank, New York, NY, Vice President and Assistant General Counsel, 1988-1995; J.D. Mattus Company, Inc., Greenwich, CT, Vice President, Secretary, General Counsel and Director, 1985-1988; Thomson McKinnon Securities Inc., New York, NY, Vice President and Assistant General Counsel, 1981-1985; Shearman & Sterling, New York, NY, Associate, 1974-1981.